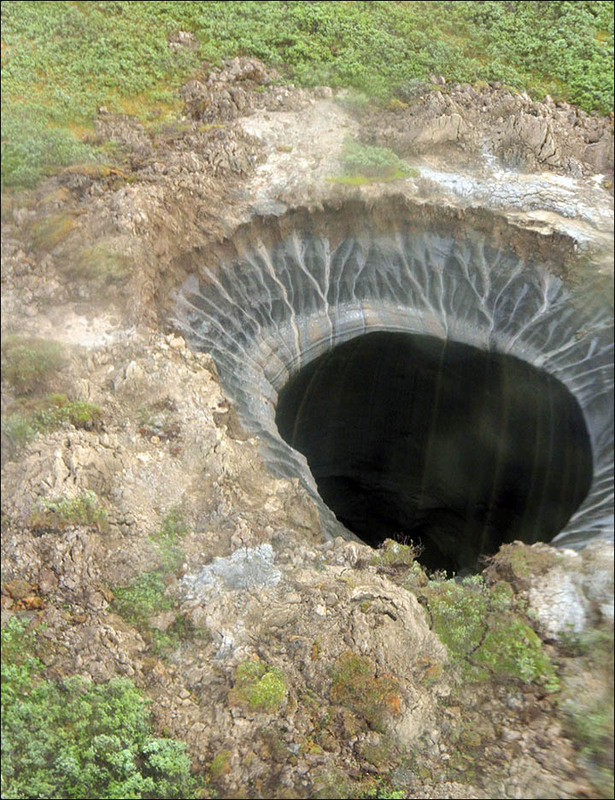 A hole opened up in the earth’s surface near Siberia recently and the superstitious are having a field day with it. While speculation is fun, scientists have come in to debunk any outlandish theories and replace them with logical explanation. Tests are still being done on the anomaly, but one thing is for certain, water was involved. Though it does not appear to be a sink hole, 80% of the crater is made of ice. If you have a significant flood, you could be looking at the same phenomenon in your living room, so be sure to request professional water damage Seattle services if rain or sewage ever enters your home. The Siberian hole measures approximately 100 feet across, a pit that big could swallow your home whole. Other issues associated with stagnate water include warped wood floors, stained drywall, and mold cultivation. Be sure whichever company you choose can handle mold remediation techniques as well. Water damage effects everyone, from Seattle to Siberia, so you need to be prepared for the destruction it brings with it, and be able to separate superstition from science. What were some of the Superstitions Associated with the Siberian Crater? The Siberian crater sparked a number of superstitions and led to intense imagination on the parts of some individuals, from an alien entrance to an electromagnetic pulse sent from a satellite. The top assumption coming from the event is that aliens live in the earth’s core and use this hole as a pseudo-garage door. Siberia is secluded enough that aliens could have a convenient entrance without having to worry about being spotted. This is unlikely, since the hole abruptly ends about 250 feet below the surface. A cosmic death ray is a second popular contender. This theory blames the hole on the Russian government for developing a weapon capable of harnessing and amplifying the power of the sun. Why they would pinpoint their own territory and then spread it amongst the media is beyond explanation. There are two separate conspiracy theories surrounding satellites being at the center of this event. Perhaps a new space weapon released an electromagnetic pulse from low earth orbit in a test similar to the death ray. Unfortunately, plenty of weapons produce far more damage at far less expense, so whichever country developed this technology must be severely disappointed in the results. The other standpoint uses bigger, scientific words, such as “fauna, photosynthesis, and vortexes,” yet is somehow less convincing. Imaginative theories are fun, but scientific discovery is productive. 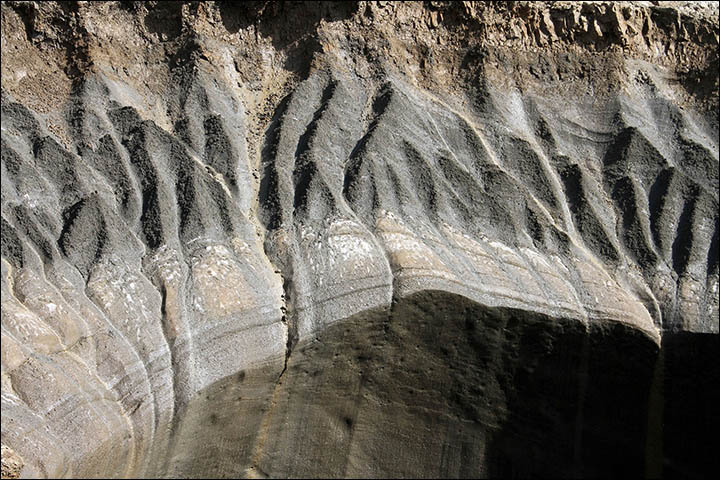 What is the Scientific Theory about the Siberian Crater? In short, the scientific theory is water damage. Initial research determined the hole appeared within the last few years and has no mysterious elements. In fact, craters such as this have been appearing and evolving into lakes for over 8,000 years. The words “Global Warming” have been thrown around the scientific community, but nothing definitive has been presented. As scientists continue to study the event, they hope it will reveal how the unique Yamal Peninsula was created. 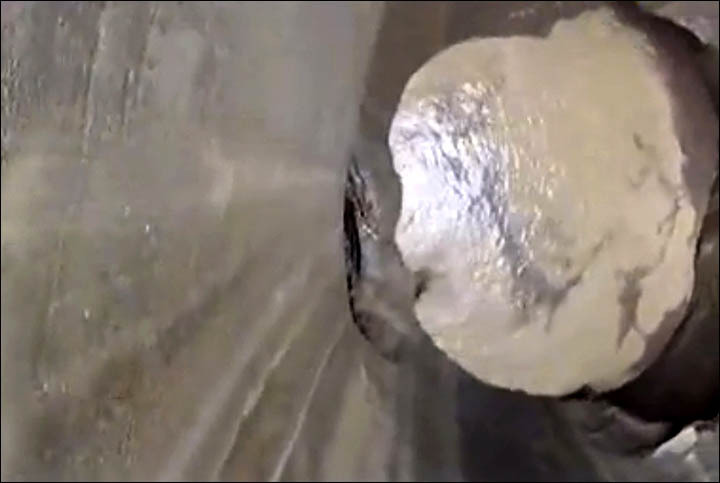 The bottom line: don’t let water damage craters happen in your house. How can I Prevent Floods from Becoming a Crater? The easiest way to prevent Floods from becoming a crater is to call water damage Seattle experts for a free inspection of your property. They will show you how to fix any plumbing leaks, clean gutters, and prevent a pipe burst. Roof damage is the biggest problem in Seattle, so many water damage companies offer an affordable price on emergency roof repair. While there is help out there to prevent holes from water, you’re on your own when it comes to alien garage doors and cosmic death ray blasts.